The Autism Conference & Exposition of Georgia is the product of an alliance of leading autism agencies, self-advocates, and family members. 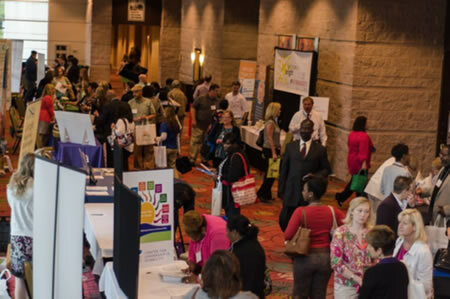 This conference is an important component of the Autism Plan for Georgia, facilitating collaboration among community partners and providing an unparalleled opportunity for sharing knowledge and resources. The 5th Annual Autism Conference & Exposition of Georgia will be held at Georgia State University’s Student Center on May 15 and 16, 2019. Exhibitor slots are for Thursday, May 16th only. Located in the heart of downtown Atlanta, the conference is within close proximity to public transportation and the Georgia State Capitol. For profit and nonprofit agencies can benefit from making face-to-face connections sharing their vision, products, and/or services with teachers, parents, researchers, direct service providers, and self-advocates. Exhibitor Registration opens February 4th. Exhibitor registration and payment is required to secure space. Exhibitor applications are processed on a first-come, first-serve basis. Conference pass grants access to all conference activities on both days. The Autism Plan of Georgia envisions a high-quality, family and person-centered, comprehensive, and coordinated systems of services and supports that are accessible and available to children, youth, and adults with autism and related conditions. These services and supports are community-based, geographically convenient, culturally and linguistically appropriate and are designed to assist individuals to reach their full potential and improve their quality of life. Please contact the ACE Planning Committee at acega@gsu.edu if you have any additional questions. 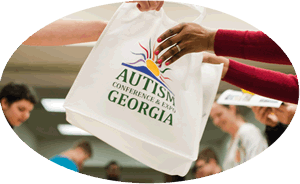 Up–to-date information about the Autism Conference and Expo of Georgia 2019 can be found at this website.